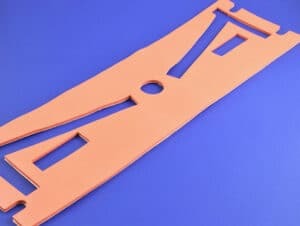 We help thousands of customers manufacture their custom parts out of all kinds of flexible materials, including rubber, plastics, silicone and more. Choosing the correct material is important to uphold the function of the equipment that the part is going into. Take a look at these materials we commonly use to fabricate gaskets, seals and more. Not every company can convert products from 3M when manufacturing custom products. 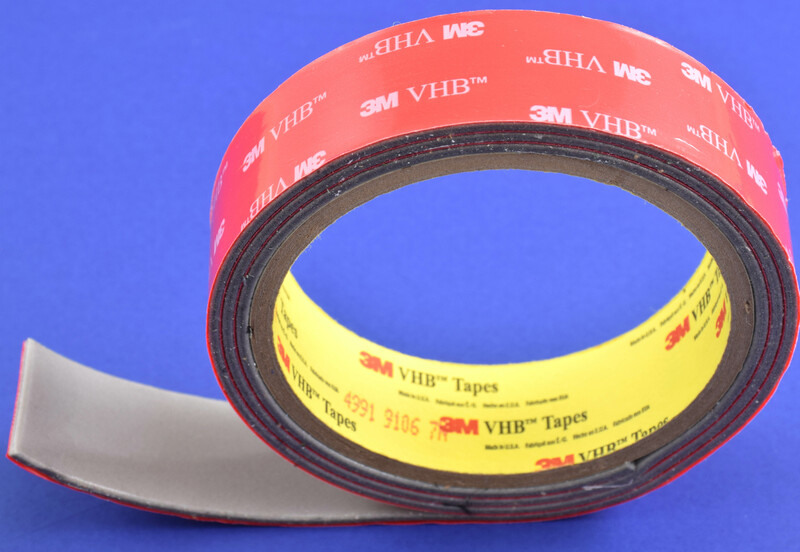 We are an Authorized Select Converter for 3M products, and we use their tapes, fasteners, cushions and more. Plastics are used everywhere. It’s estimated that we use about 20 times more plastic than we did half a century ago in order to have more soft, flexible, versatile products that can be made with metals. We use plastics to fabricate things like signage, enclosures, and insulators. 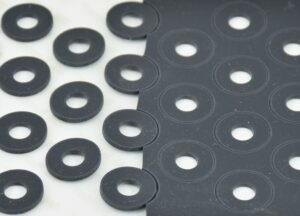 We use rubber for products such as gaskets, seals, and cushioning. Some types of rubber we work with include EPDM, silicone, vinyl, SBR, nitrile and more. PORON Urethane in an open cell foam, ideal for sealing, vibration, sound dampening and energy absorption. PORON is often used in automotive, communications, and electronic equipment. We are a Preferred Converter for Rogers Corporation and experienced in converting BISCO silicone for customers developing products like cushions, seals, heat shields and insulation. Closed cell sponges are recommended for customers who need a physical barrier such as isolators, mounting pads, weather stripping. Sponge material includes neoprene, nitrile, PVC foam, Viton, ECH and more. Our customers ask for open cell foams when they need a material for filtration functions such as removing dust and particles from gases, air and liquids. Our materials experts use both electrical and thermal insulators when fabricating parts. electrical insulators are used to prevent arcing in equipment with a current. Thermal insulators are used to remove heat that is generated by equipment during use. Anti-skid materials are used in surfaces subject to traffic, such as matting and splashgaurds. Customers use anti-skid materials in commercial kitchens and floor plants, playgrounds and more. Electromagnetic interference and radio frequency interference is needed in products where excess electricity can damage core components. We use a number of materials for EMI and RFI including foil tapes, mu-metal, and conductive rubber. Pressure sensitive adhesives (PSAs) are tapes made from foam with an adhesive on one or both sides. The most common types of PSAs are acrylic, rubber and silicone.